A new museum has opened up in the art districts in downtown LA. It has a whole new perspective as to what a museum should look like. “Remember those crazy ideas you dreamed up as a kid? 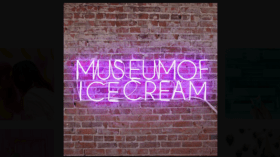 The museum of ice cream is the place where ideas are transformed into real life experiences. A place where flavors are mysteries, toppings are toys and sprinkles make the world a better place. Our mission is to design environments that bring people together and provoke imagination,” quoted from their website. A similar explanation related to is the Willy Wonka Factory and all of its unique places. Currently it is located 2018 E 7th Place Los Angeles CA 90021. It’s opened Wednesdays thru Mondays from 11 am to 10 pm but it is closed on Tuesdays. Their admission tickets are 13+ for $29. Ages 3-12 for $18. Ages 60+ for $18. Children younger than 3 years old don’t need a ticket. All tickets must be purchased in advance, tickets are not available for purchase onsite. However, all April tickets are sold out. Tickets for June will be on sale April 27th 9 am. Several stores helped contribute to the museum such as The Daily Dose, Alchemy Works, Beastia, A+D Museum, Everson Royce Bar, The Last Bookstore, The Factory Kitchen, Hauser Wirth & Schimmel, Zinc Cafe & Market and Bar Mateo, The Springs and Urban Radish. One can enjoy from scratch and sniff banana wallpapers to swimming in their pool full of sprinkles. It has a lot of secret rooms to explore all in one day.